meryl streep – The Nuge. So. 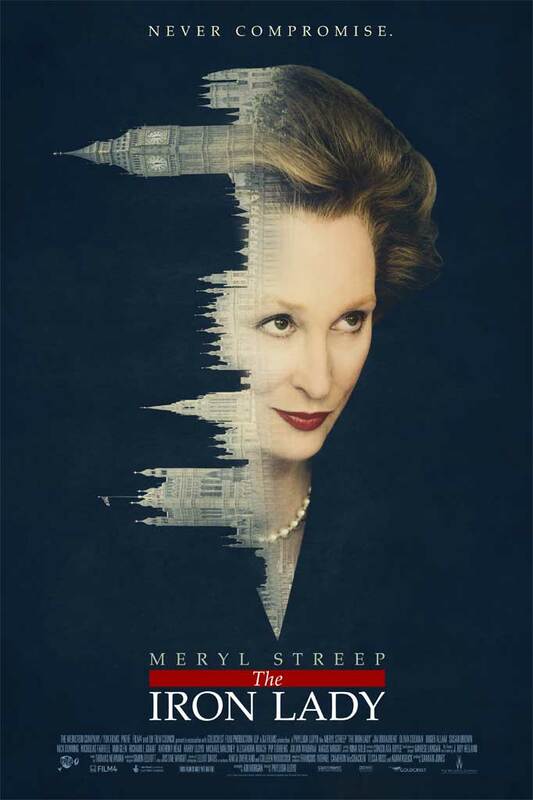 The first poster for The Iron Lady, the forthcoming Thatcher biopic starring Meryl Streep as the steel-balled premier, has just been released, and it’s a fine example of someone under the impression they’re being very clever when really they’re being incredibly stupid. Look at it. It makes no sense. It’s a confused mess of an idea, the product of a poorly-conducted brainstorming session. Somewhere, in a marketing meeting room, there’s a whiteboard with THATCHER, POLITICS, HOUSES OF PARLIAMENT, BIG BEN! scribbled furiously in a word cloud. The problem is that while these ideas are indeed connected, the images, er, aren’t in any way. Mrs Thatcher, Meryl Streep, or indeed any human, bears no physical resemblance to a neo-Gothic government building (no, not even when you flip it the wrong way round). Unless Meryl’s suffering from a rare spire-growing skin condition, it’s inexcusably terrible.